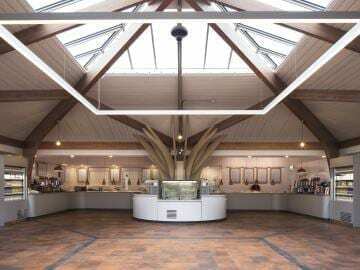 A wondrous heritage, set in 9000 acres of Wiltshire countryside, Longleat Safari Park needed a new restaurant to match its astonishing experience. A complete refurbishment was required and a new menu needed to be catered for back of house. Front of house a new restaurant and coffee bar needed to live up to the astonishing kingdom that is Longleat. 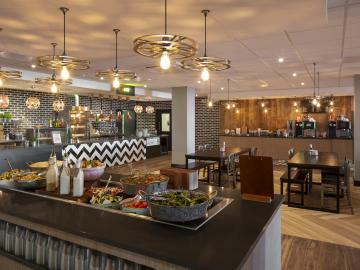 Space Group were asked to design, supply, fit-out and install Longleat Safari Park’s main restaurant, coffee bar and back of house kitchen and stores. The kitchen had to support the new menu and the 400 cover restaurant. The restaurant interior had to reflect the British eccentricity and heritage of Longleat and the overall facilities needed to suit the varied visitor demographic. Original features had to be retained, as well as working alongside the planning and conservation officers to ensure sight lines from Longeat House were left undisturbed. 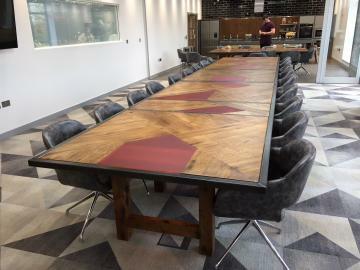 Space pulled together its design, equipment, furniture, interiors and manufacturing teams within the group, to complete this project. It was a true turnkey project, from stripping out and refurbishing the building, to delivering a restaurant with a completely new feel, supported by the reconfigured back of house areas and toilets. A real team effort! 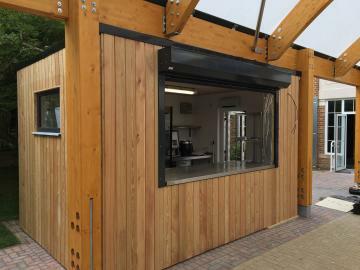 With the huge numbers of vistors, passing through the safari park and visiting Longleat house on a daily basis, queues had to be at the forefront of the design process. With this in mind a twin flow servery, complete with chicken rotisserie and feature tree, provide the main restaurant offer. 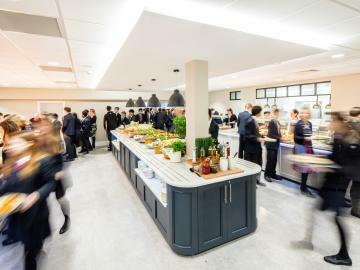 Alongside this, a standalone coffee and chilled food offer provides an alternative for those wanting to eat a lighter snack or grab and go. 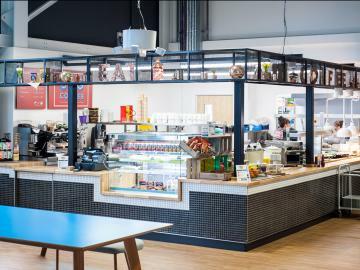 Both were supported back of house, with a fully refurbished kitchen redesigned to improve the flow, large stores to support the new menu’s focus on fresh produce, specialist smoker ovens and a large bakery area. The interior was packed full of features, which included improvements to the building itself: new roof lanterns and curtain walling, all new electrics and plumbing, feature lighting and bespoke toilets that add a new level of customer experience! The furniture and interior design scheme reflects the eccentric history of Longleat, from the bespoke wall graphics, eclectic furniture mix, feature tree and animal references, all underpinned by the use of natural materials and showing off the buildings features to their fullest. Externally a new pergola structure frames the main entrance to the restaurant. The complete transformation of this area! The optical illusion achieved in the toilets, they go on forever!